26 Jul How Do Motion Detectors Work? There is definitely some mystery surrounding motion sensors. They are a core element of most alarm systems, and it’s rare that I see an alarm system without at least one motion sensor. So, let’s dig into what they really do. Motion sensors detect and report motion – in most cases when nobody is home. That’s why they are normally not “awake” when you arm your system for the night (see my recent post for a reminder on “Stay” vs. “Away” arming). It’s usually not practical to puta sensor on every window, and you usually don’t need to, since you can use motion sensors and glass break detectors to get the protection you need more affordably. 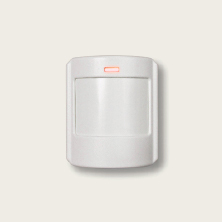 Plus, motion sensors have come a long way from the original models – much more reliable, and less prone to false alarms. The early motion sensors were considered “active” devices, because they emitted energy (microwave or ultrasonic) to see what was happening around them. There are some still some microwave sensors being installed in commercial spaces. Today the most common motion sensor uses Passive Infra-Red energy to detect heat given off by people (and animals!) – hence the name “PIR” given to the device. 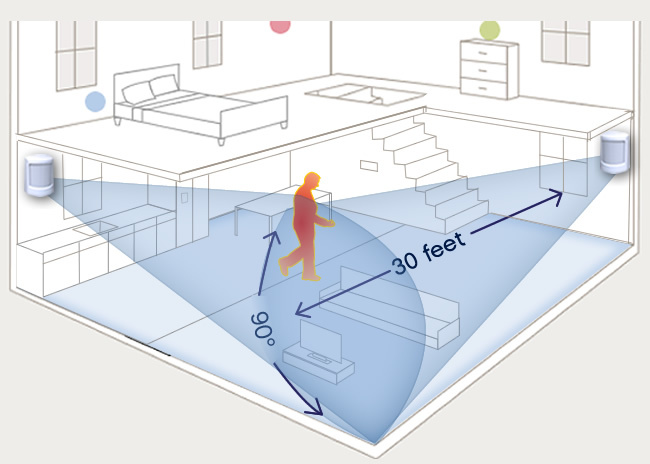 The smart detectors look for objects warmer than the normal background temperature, using a special lens to create “beams” of passive energy, and then look for motion: when the sensor detects a “warm” object moving across several beams within a specified time frame – that trips the alarm. If you want more of the science, here is a great link for the specifics. The standard range is 30-35 feet, and the coverage area is shaped like a large water droplet, with the skinny part at the detector. The ideal spot for a motion sensor is in a high-traffic area that an intruder would cross if moving about in your home or business: think hallways, living rooms with big-screen TV, etc. The sensors work better when people move across the beams, as opposed to approaching the sensor directly. The beams project out and down, to pick up anyone trying to avoid detection by crawling. Do not point them at a heat source like a stove or fireplace, and avoid pointing at windows that get direct sun. And, don’t use them in a space that gets so hot that the sensor can’t tell an intruder from the ambient temperature – like a garage in a warm climate. Today’s sensors are usually “pet-friendly” up to 40 pounds, which means they “ignore” cats and small dogs – unless your Siamese is downright acrobatic! 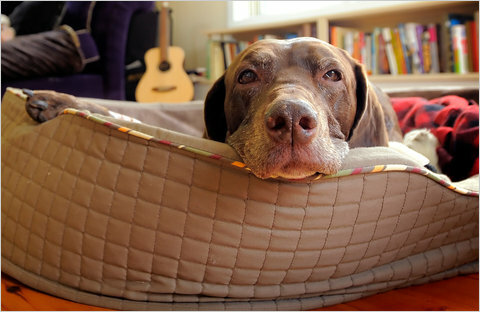 That means (going back to my previous blog post) that large dogs with the run of the house all day and night make it harder to use motion sensors – except for when you go on vacation, and board the critters.